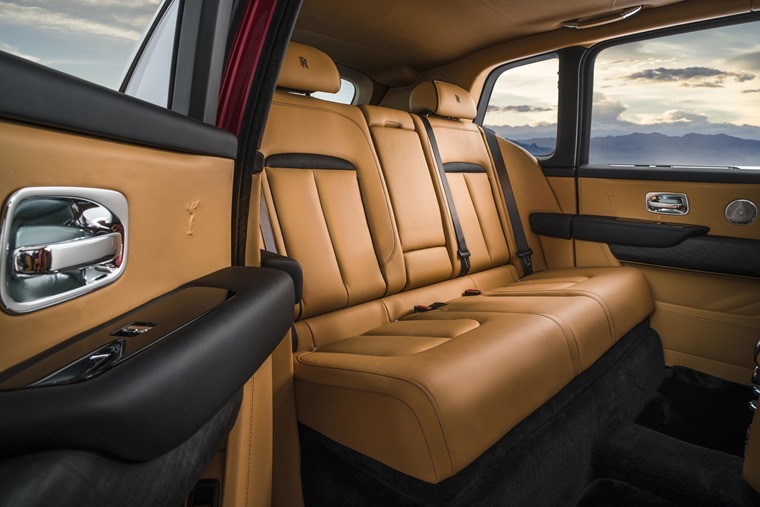 Allow us to introduce the Rolls-Royce Cullinan – an ultra-large, ultra-luxury SUV that’s set to take on the Bentley Bentayga when order books open later in the year. If you were still unaware the importance the SUV segment now holds in the car market, then this car will put to bed any doubt. 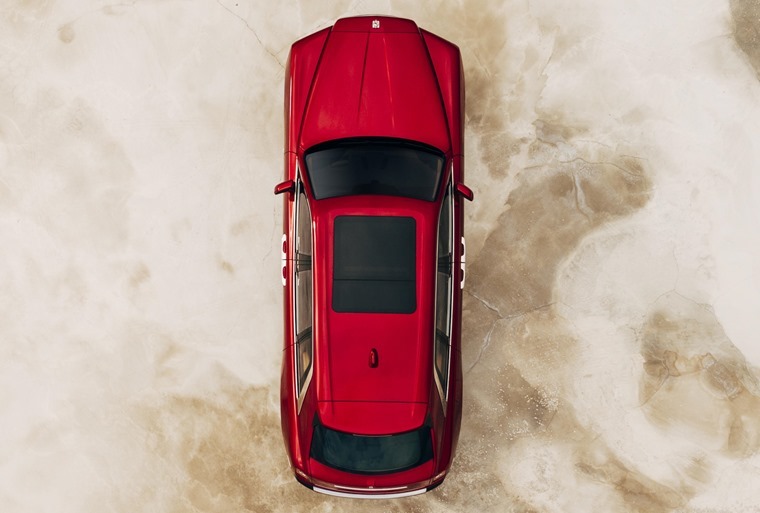 A 5.3 metres in length, it’s not much larger than the Phantom, but that is already a VERY large car. In fact it’s based on the latest Phantom’s platform, and borrows a host of styling elements from it too. Head on, it’s almost identical to the untrained eye, albeit a little taller. 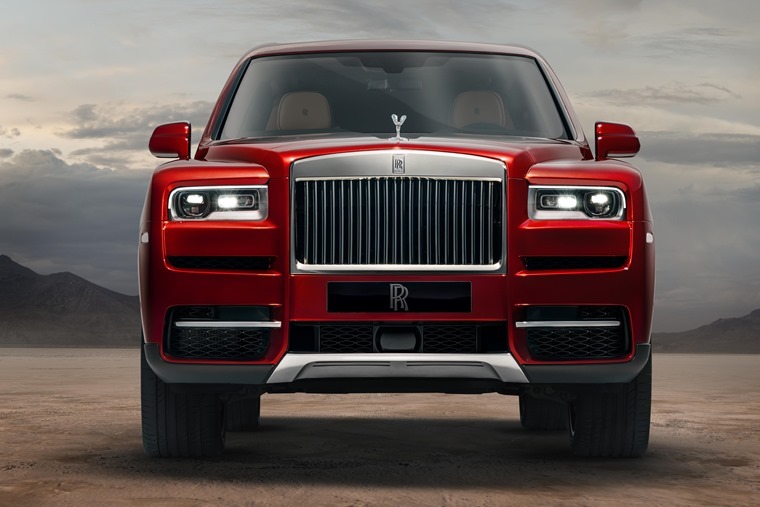 The same striking, boxy design is present, as is Rolls’ trademark grille and the famed Spirit of Ecstasy bonnet mascot – both of which dominate the front of the car. At the rear, you’ll find a D-shaped taillight design that’s also borrowed from the latest Phantom. 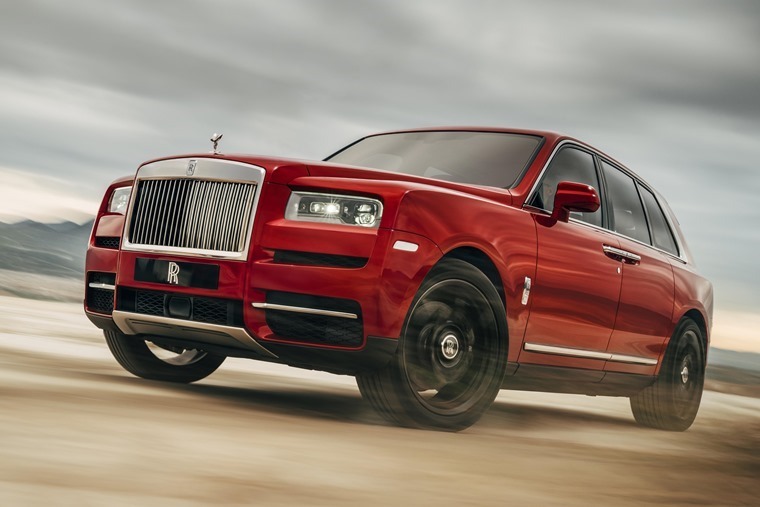 It’s side-on where the styling differences lie – although Rolls refers to the Cullinan as a “high-sided vehicle” rather than an SUV, it’s much taller than the Phantom. It gets Rolls’ familiar rear-hinged door design too. A number of bespoke wheel options are available, but the massive alloys you see here are huge 22in rims that can also be found on the Phantom. Inside, things are as opulent as you’d expect with acres of wood panelling and leather. As is usual with Rolls, there’s an infinite amount of personalisation options to suit individual tastes. Up front, the driver will find a host of new tech, including night vision and a very sophisticated adaptive cruise control. Rolls’ latest infotainment system is based on BMW’s highly praised iDrive. It’s in the rear that things really matter in a car like this though, and Rolls has delivered the goods. Behind those rear-henged doors you’ll find acres of space, with an opulent two-seat set-up or a more practical three-seat folding bench layout available. It will be launched with Rolls-Royce’s renowned 6.75-litre V12, which also features in the Phantom. 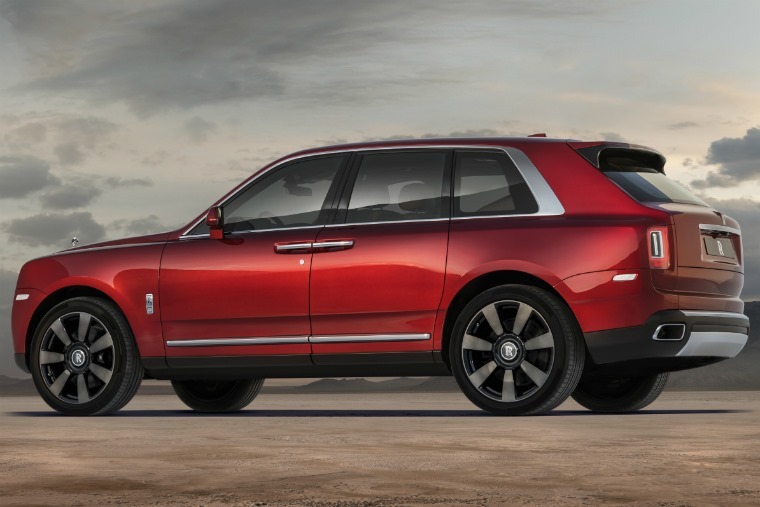 In the Cullinan it produces 563bhp and 850Nm of torque. Full specs are to be revealed, but it’ll have a limited top speed of 155mph and be likely to be capable of around 18mpg. 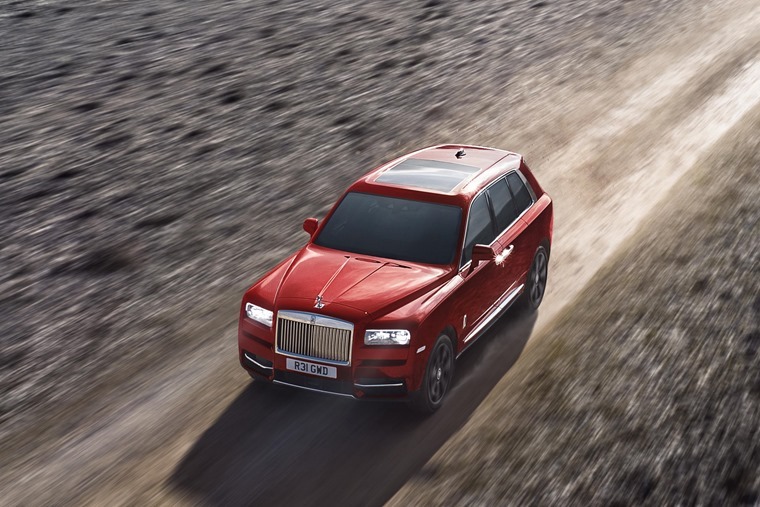 Rolls has developed a new four-wheel drive system for the Cullinan, which can be called into action via a driving mode by pressing the Everywhere button. This adapts the engine and suspension, and allows the Cullinan to keep going when the tarmac ends. Further modes have been designed to take on different conditions including snow, rocky terrain and sand. Fancy one? List prices are to be confirmed, but it will likely cost from a cool £230k when it hits the market later this year. By the time you’ve plumped for a few options though, you can expect that figure to rise to more than £300,000. It’s set to be a big hit for Rolls but, despite its steep list price, it has been confirmed the SUV won’t be replacing the Phantom as the company’s flagship model. If you’re feeling flush, you can check out lease deals we have available on the Rolls range by clicking here.